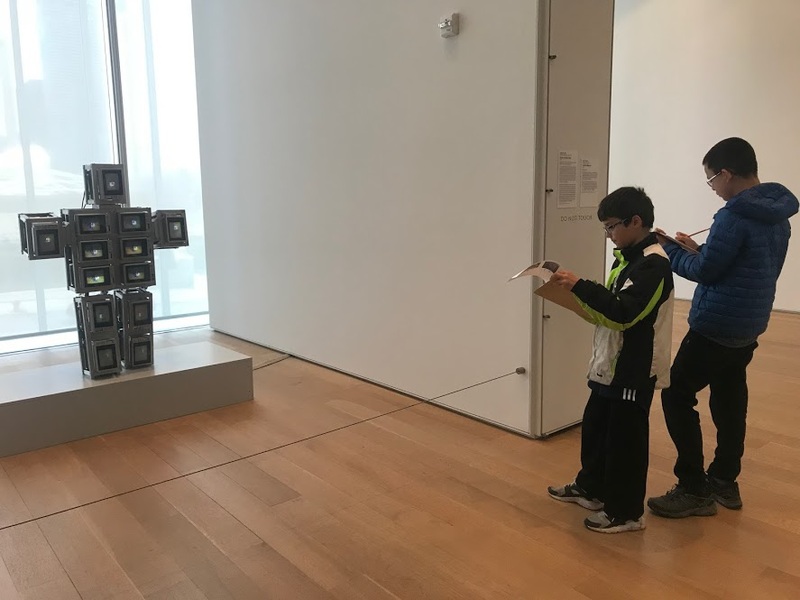 Every year the students in the Upper Elementary (4th-6th grade) classroom at the Montessori School of Lake Forest take the Metra train to Chicago to visit the Art Institute of Chicago. The field trip began as a way to honor Ilan’s love of art, especially the Art Institute’s modern wing. Ilan had been in the Upper Elementary classroom at the time of his death. One of the nature adventures Ilan loved most was birding. He enjoyed spying the Bald Eagles and the Great Blue Herons from a pontoon boat on the Horicon Marsh. Although the students who attend Van Brunt school live next to the largest freshwater cattail marsh in the United States, many of them haven’t been exposed to all the wonders of the marsh. 5 Purple Oranges also supplied the children binoculars so they could get the most out of their experience. From Mother’s Day to the end of May, all of our donations went to Books for Africa. We were able to send them $125 which purchased 250 books for the project. We donated 50 cookbooks for the 9-11 year old campers to use at camp and take home with them to continue inspiring their love of cooking! Arthur Riddle, aged 9, is the fourth recipient of the Ilan Hurtado Scholarship. Arthur, who was also last year’s recipient is currently in 4th grade, lives in Highwood and in his second year being home schooled. Arthur greatly benefited from the scholarship last year, he was able to take private Suzuki lessons with Julia Wen, a student of the late Gilda Barston, as well as cello group repertoire classes, and Musicianship II. He also participated in the Chicago Summer Institute and this was his second summer. During his first year in CSI, Arthur made a book with a total of 30 small pieces, composed by him, for his teachers to play. Arthur enjoys reading, drawing cartoons, creating stories, and writing music to go with them. He also loves playing the cello and creating new melodies. He has participated in Suzuki Sundays and has played his cello at church. He dreams of someday making a movie, composing the music, and playing the score with his cello.